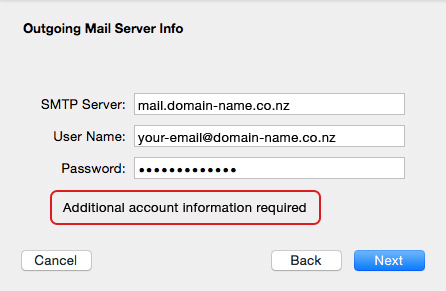 Scope: This document details how to set up your email account in Apple Mail. 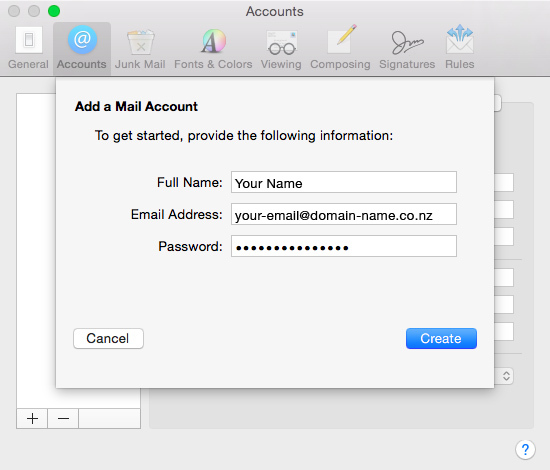 Environment: This document is written for users of Apple Mail on Mac OS (El Capitan). 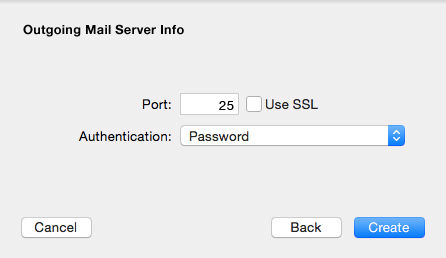 Precursory actions: This tutorial assumes that you have Apple Mail installed, and before following these instructions it should be open and the frontmost application. Select Accounts tab and click on the + at the lower left of the screen. 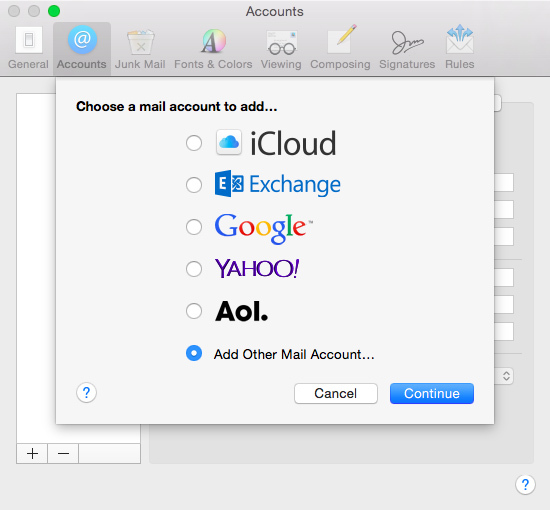 Select Add Other Mail Account… and clik Continue. Fill in your name, full email address and password, and click Create. 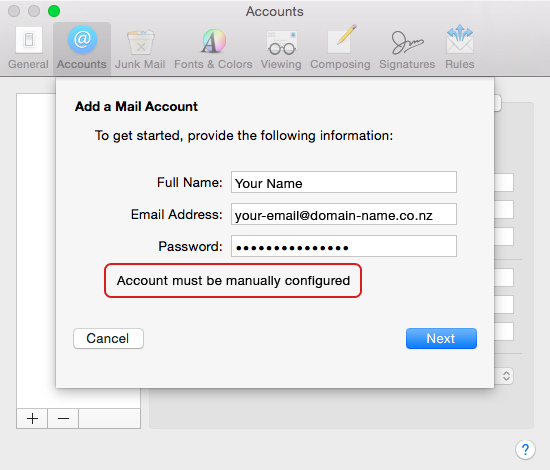 An "Account must be manually configured" message will appear. Click the Next button. Select POP3 as the Account Type and enter the following infomation. 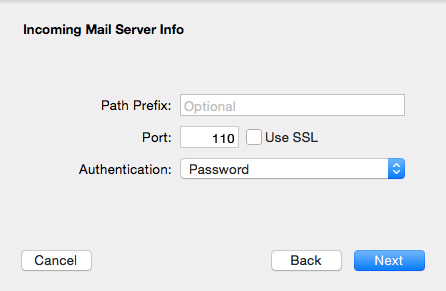 Use port 110 for the Incoming Mail Server and uncheck Use SSL. 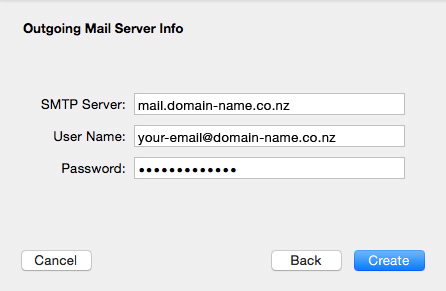 Under Outgoing Mail Server Info, enter mail.domain-name.co.nz as the SMTP Server and the same email address and the password that you have entered for the Incoming Mail Server. When "Additional account information required" message appears, click Next. 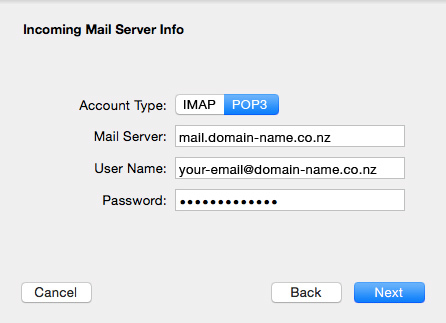 For the Outgoing Mail Server Info, use port 25. Port 2525 is also available where port 25 is blocked (i.e Spark). Change the port to read 26, if you are a customer of Sparx, Alart Design or Lime Hosting. Your email account has now been created and should appear in the Accounts list and under the Inbox.